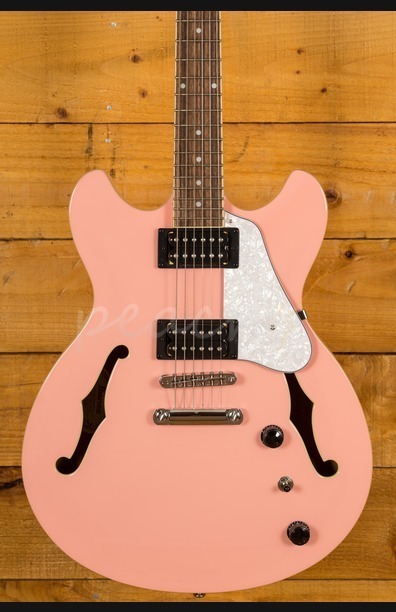 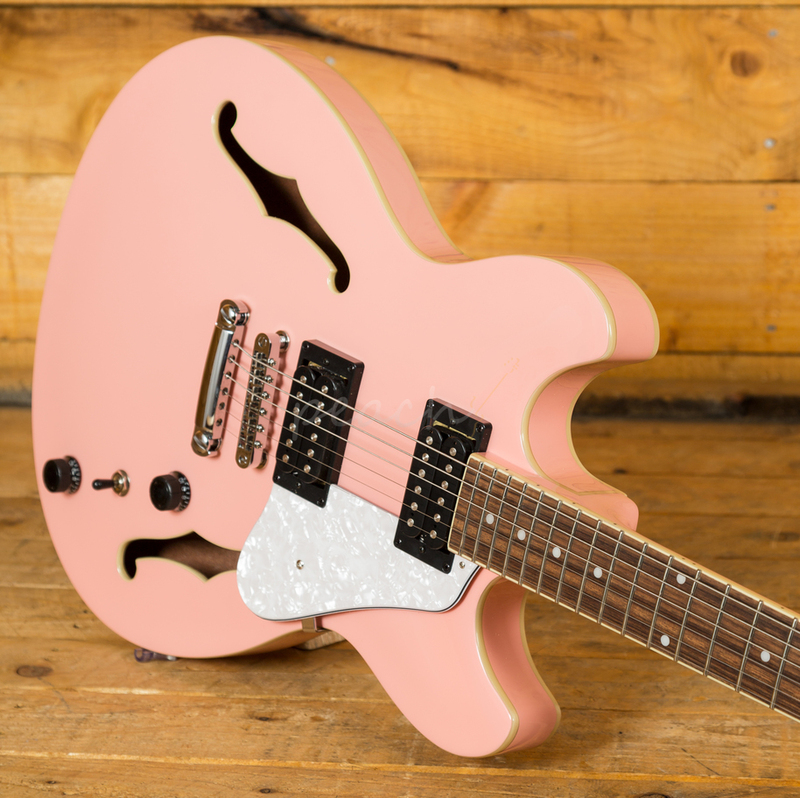 The Ibanez Artcore AS63-CRP in Coral Pink is a great feature on their roster. 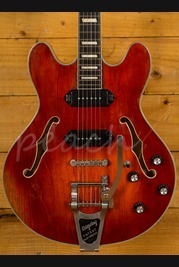 With a beautiful Sapele top, back and sides, this guitar looks absolutely stunning. 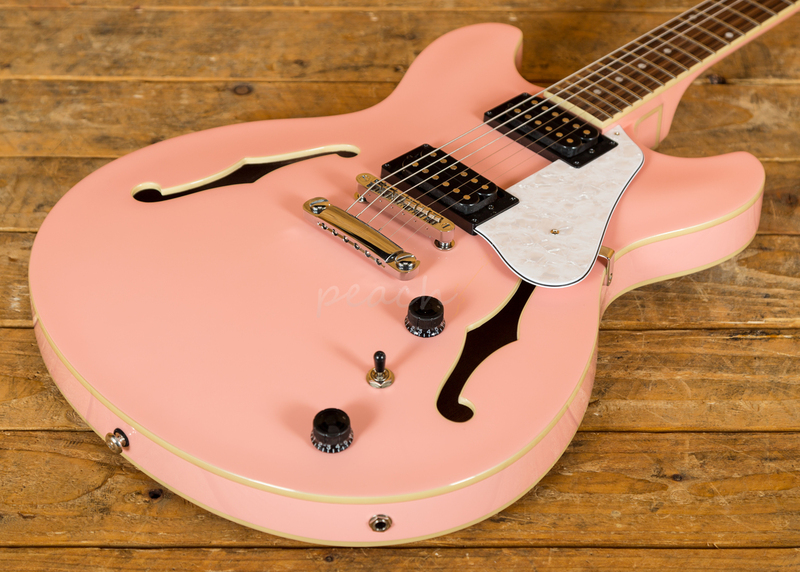 Capturing all the bite and resonance of a classic hollowbody the AS63 is perfectly suited to a wide range of styles. 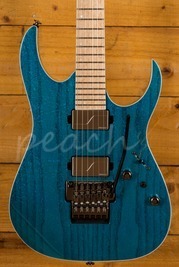 The Artcore Nyatoh set neck feels great underhand. 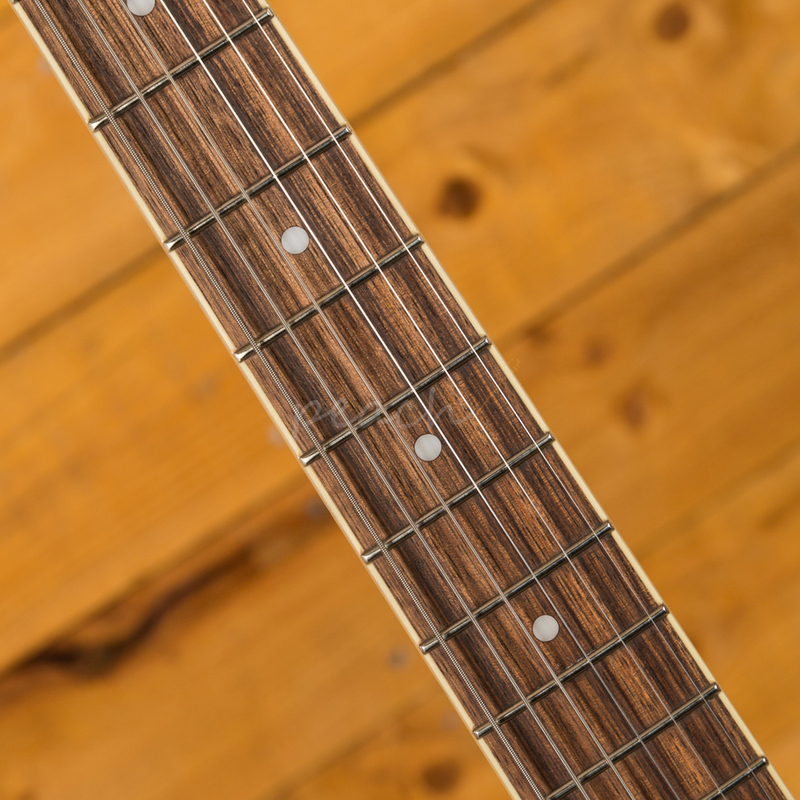 Smooth and rich, the bound Laurel fingerboard has classically styled dot inlays that add to the vintage appeal. 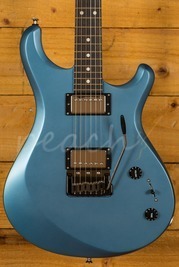 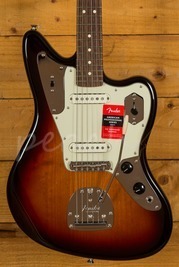 Benefiting from medium frets and a 24.7" scale it provides tight response and super smooth playability. 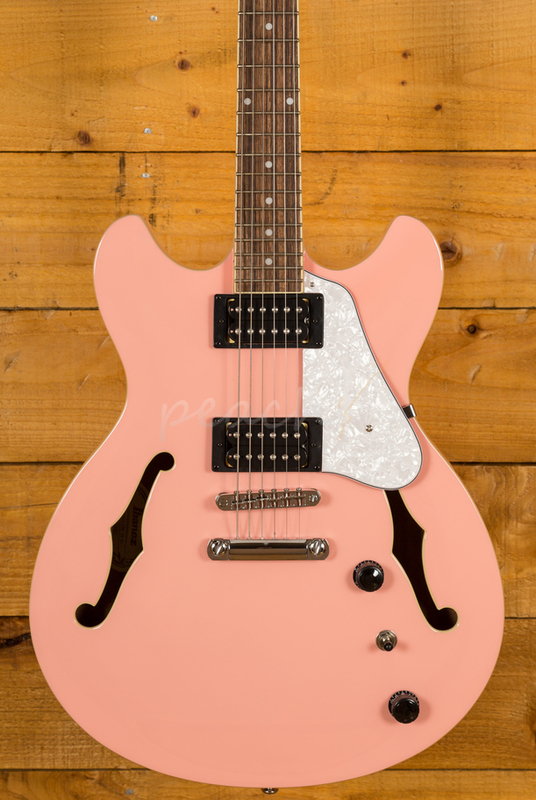 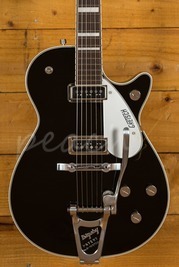 Loaded with a pair of Infinity humbuckers, the AS63 has a great sonic character. 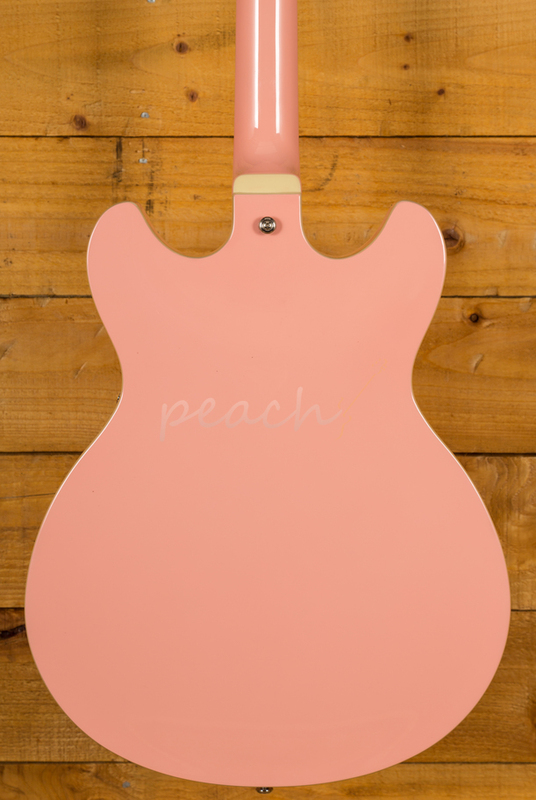 It packs a killer punch and offers rich, nuanced tone with a fat low-end.